I won't say much, I will just allow the pictures to say everything. Take a peak! Boiled greens - chorta in Greek, very tasty and healthy. Usually served with oil olive and lemon. Pork chops - Paidakia in Greek and Pork steaks - excellent! Armenovil - an amazing dessert made from meringue, icecream, caramelised almonds and chocolate on top. I can't say more! During my two-week stay in Thessaloniki, Greece, I had the chance to experience high standard cuisine in local restaurants. I was one of the food bloggers/guests at the presentation of the summer menu offered at the Excelsior Bistrot and under the magic hands of Chef G. Papadopoulos. Find the detailed menu copied below. Here is what the chef told me after the dinner. FB: What did you cook tonight? GP: It was a summer menu with seasonal ingredients. But we also tried new cooking techniques. FB: What’s the favorite from all those eight courses? GP: I like scallops as a product. And today we cooked it in a special new way, just with fire. We burned them only on one side and added olive oil and fleur de sel. FB: Will you serve this eight course menu at the Hotel? GP: We have a new, eight course menu each season as we change it. FB: Any plans for the future, for the winter months? GP: For the winter, we continue as we are now. We are steady, nothing has changed despite the economic crisis. We insist on good quality and we do a little more. That’s self-evident. But our main goal is to maintain the quality. FB: What’s your favorite dish? Which flavor do you prefer? Any flavor you don’t like at all? GP: I eat everything. There are things I distinguish a little more but there isn’t anything I don’t like. FB: Do you have any personal plans for the future? Would you like to start your own restaurant, write a book or be on a TV show? GP: I want that everybody who comes to dine here to be excited. You can’t be perfect but you can improve. At some point in the future, I would like to have my own restaurant which will be very personal, like going to have dinner at your mom’s. That’s how I like it. It will have a small number of tables but you will need to reserve your seat. I will shop every day and cook. If you do something with love, it has nothing to do with money. FB: From restaurants you visited around the world, which one you still remember? Which one you would like to visit? GP: It is the Raymond Blanc’s restaurant outside Oxford. Simple cooking, new techniques, good food quality. FB: Other chefs you like? GP: There is not a better chef than another, they all have their own personal style and cooking techniques. FB: You are in Greece, you have chosen Thessaloniki for good or maybe an island one day? GP: have traveled a lot, I have been to places but now I am based inThessaloniki on a permanent basis. We all need to have a stable base in everything we do and I am trying to apply this now. It’s good to travel around but at some point you need to return. FB: What do you have to say for the Gourmet award you won by Elefterotypia? GP: It was something we didn’t expect, they came the very first day I started working here. GP: You always need to be read and alerted. Each day, each dish we prepare and send out, needs to be checked and filtered before it goes out. We make mistakes but the fewer the mistakes, the better we become. FB: In the kitchen, are you strict with your colleagues? FB: Is it a tiring job? GP: We work 12 to 14 hours a day. There is a lot of stress, often exhaustion. We can only serve ten tables but at the end of the day you are really exhausted not only physically but also intellectually. GP: Yes, on all levels. Cooking is a joint activity. We are all in the kitchen. We have fun but we try a lot to do our best. FB: So far, you have succeeded. GP: Yes, but we can become even better. GP: I am here since February. We now built it and from now on, we can grow even higher. And the most amazing is that the hotel owners help us in our effort. I haven’t seen this. Whatever we need, we get it. They never say no to anything related to quality and they do an excellent job with staff. It’s great. FB: Thank you very much. Hard to believe it, but Joe officially turned seven years old on Saturday. To celebrate, they will be hosting an open house at their original Waverly Place location today, Wednesday, July 21st, from 6-8 PM. Please join for Prosecco, cold-brewed iced coffee, and pastries. Schmooze with other Joe supporters and chat with some of your favorite baristas--and wish Joe a happy birthday. Take a peak at the rather "ugly" fish sandwiches. Fun and easy to make are perfect for children's parties but also for their parents. You need sandwich buns, some ham, turkey or cheese slices, add lettuce and tomatoes and if you want, make their eyes with olives. Cucumbers are optional! It is official. 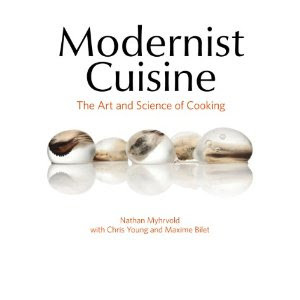 The largest cookbook Modernist Cuisine: The Art and Science of Cooking will be published on December 1st. The book with 2,200 pages and priced at $625 will probably make the Guinness book. Pre-order on Amazon http://www.amazon.com/exec/obidos/ASIN/0982761007/ and buy a new bookshelf. Whole Foods Market celebrates local foods throughout New York with a weeklong series of events highlighting the season’s best tastes and tastemakers. Find WF's favorite local vendors at one of their six stores as they circulate Manhattan for storewide tastings Monday through Saturday, kicking off July 5th at Bowery. Whole Foods invites you to come taste some of their newest local products, learn about the process and meet the growers and artisans who put them on their shelves. For more information, visit http://wholefoodsmarket.com/, then click on the calendar of your local NYC store for a list of events. They say that one picture speaks 1,000 words so I won't say or write much today. The pictures say it all. 4th of July parties include fun, the unexpected and always some iced drinks! Grab your drink from this branded cooler. It is cool! Junk food can have interesting colors if you arrange it in "rounds"
The 4th of July party includes something you have no idea of what it is!